The HR software your team will love. The success of your company is about managing your employees —not paper. By focusing on simplicity and ease of use, breatheHR is a cloud HR software solution designed to tame the chaos so that you can get out from behind the desk and lead your people. Cumbersome HR systems are officially a thing of the past. 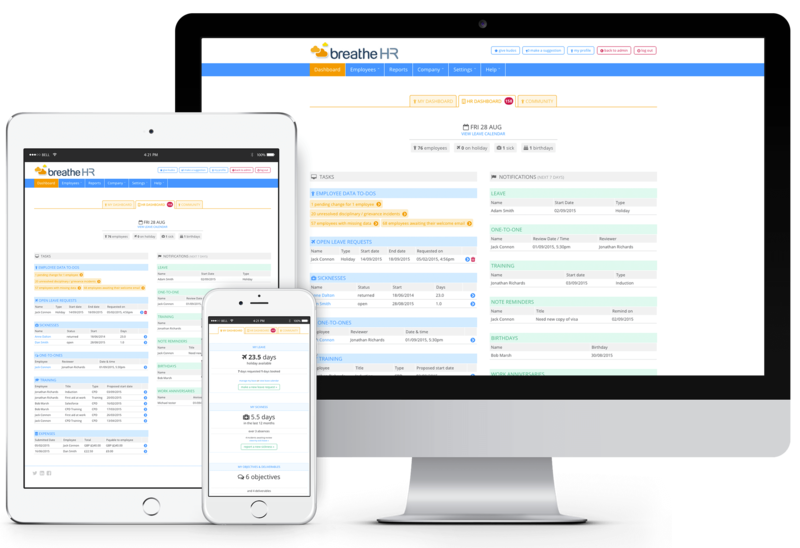 Keeping all your employee information in one place and automating all those time consuming human resource administrative tasks, breatheHR transforms the way you do HR. With customisable reports, automated and streamlined processes,this HR system gives you the tools you need to support your business. Discover how breatheHR can free up your day. Centralise Records One central location for all HR information with employee self-service to keep everything up to date. Organise Documents Keep all employee documents safe and publish policies & templates online. Book Holidays Manage holiday booking and absence allowances with a simple online approval process. Manage Sickness Take control of sickness –every absence is logged, approved and analysed in your HR system. Improve Performance Standardise the way you manage performance and keep track of objectives. Tasks Reminders Manage day to day employee tasks from the HR Dashboard with email reminders and onscreen notifications. Streamline Reporting Keep track of what’s happening. Report Library and one-‐click Data Export makes Management & HR reporting a breeze. Expenses Manage Employee expense claims. Employee completes a claim for managers to approve. 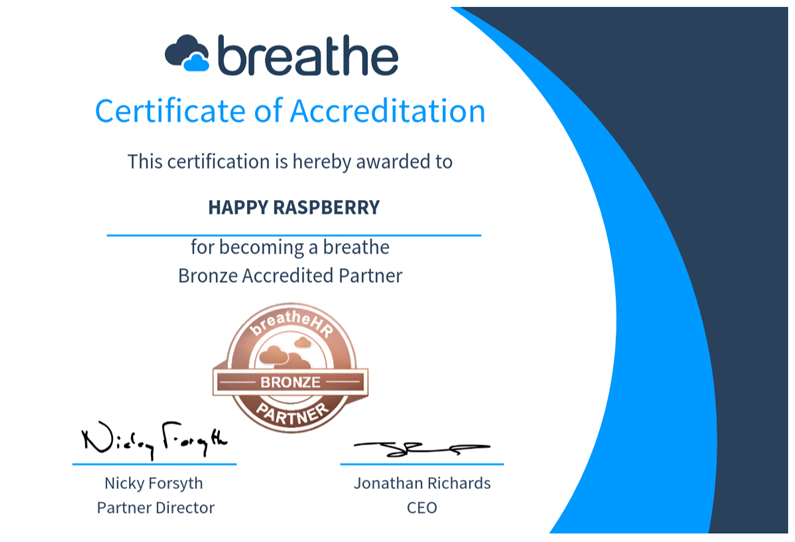 API Streamline your favourite systems with breatheHR’s API to save even more time. To find out more about our HR Software packages and arrange a free 1 month trial, contact us today!